We have only been looking at part of the picture though. These heatwaves that cause mass bleaching events are also affecting the other animals that are associated with coral reefs, whether through loss of habitat (i.e. an indirect effect of heatwaves), or thermal stress (i.e. a direct result of elevated temperature on physiology, population demographics or ecological interactions). Our paper set out to tease apart these effects, through surveys of corals, fishes and mobile invertebrates at 186 sites along the Great Barrier Reef (GBR) and in the western Coral Sea, before and after the 2016 mass bleaching event. When we were diving at reefs in the worst-hit northern region of the GBR after the bleaching, the inconsistency of the bleaching impacts really stood out. Occasionally, we jumped in the water to find a reef had pulled through apparently unscathed – where our surveys revealed some gains in live coral cover, even when the surrounding reefs had suffered badly. A second interesting pattern became evident when exploring all the data from after the bleaching event, compared to the data from the same sites prior to the event. Some of the changes in the reef fishes we thought to be ‘classic’ responses to bleaching did not happen on every reef that lost lots of coral. Three of the most common observations from previous studies have been the loss of coral-eating fishes (like butterflyfish), a reduction in the number of fish species, and boosted herbivore populations (which capitalise on the algae that grow on the freshly dead corals). The first of these (fewer butterflyfish) was consistent, but the other two were not. These responses depended on whether the reef we were looking at was in the northern (warmer) or southern (cooler) end of the region. The reef-associated fauna at the warmer reefs in the north suffered more than in the south, irrespective of what happened to the coral. 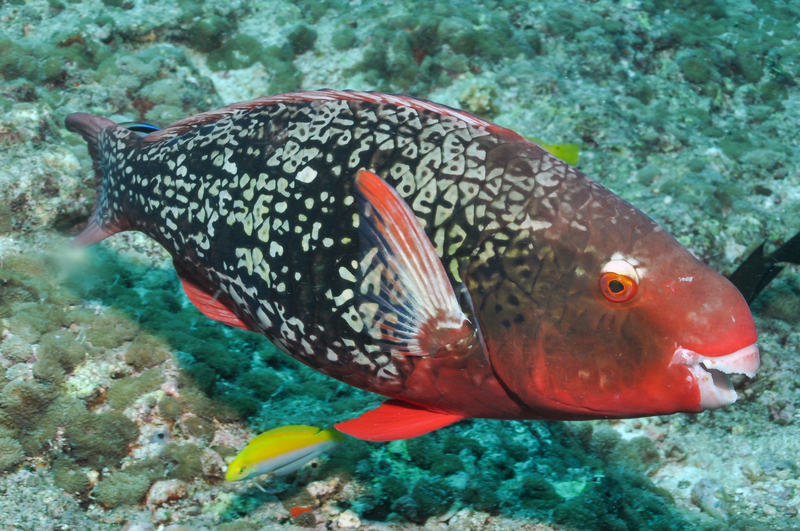 We found fewer parrotfish and slightly reduced diversity at these reefs, even where there was an increase in live coral cover. On the other hand, the fauna on southern reefs seemed to boom – particularly the small cryptic fishes, and the mobile invertebrates. We even recorded more species of fish on one of the southern reefs that lost 100% of its live coral cover (28% absolute decline). This study covered a large enough number of reefs, across more than 14o of latitude, that we were able to look more broadly to see which changes were reef-specific and which changes showed regionally-coherent patterns. The ecological outcomes of coral bleaching, and no doubt many contemporary pressures on reefs, are so patchy that it is difficult to know which element of change relates to which element of the pressure. Our results highlighted the value of collecting data over much larger scales – beyond where the obvious impacts appear to be - gaining context from a greater range of conditions.